Today what I have for you is nothing new but something which I needed to lift my spirit on this dark and snowy day. A kick of cherry, a bit of spice and take deep long breath. 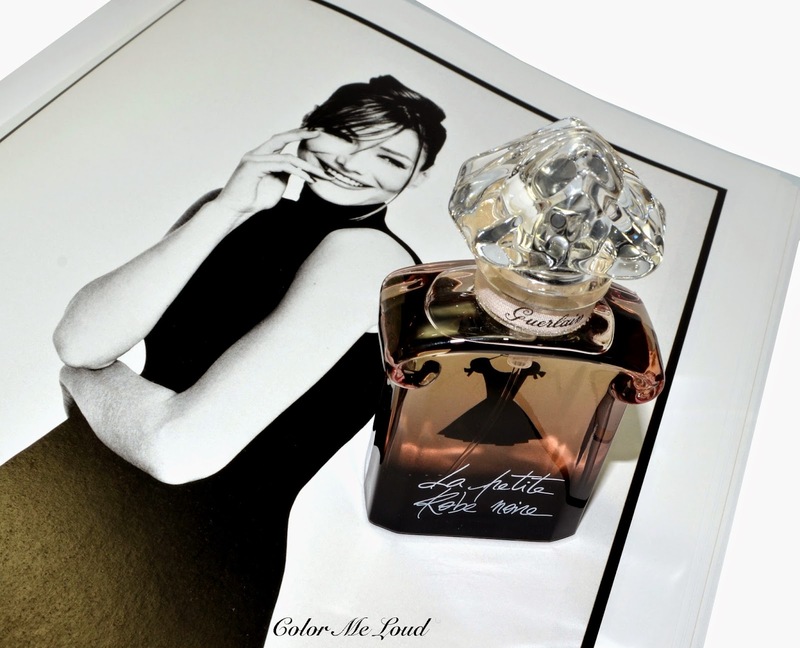 Now we can start talking about Guerlain La Petite Robe Noire Eau de Parfum. But it is all about our perception. 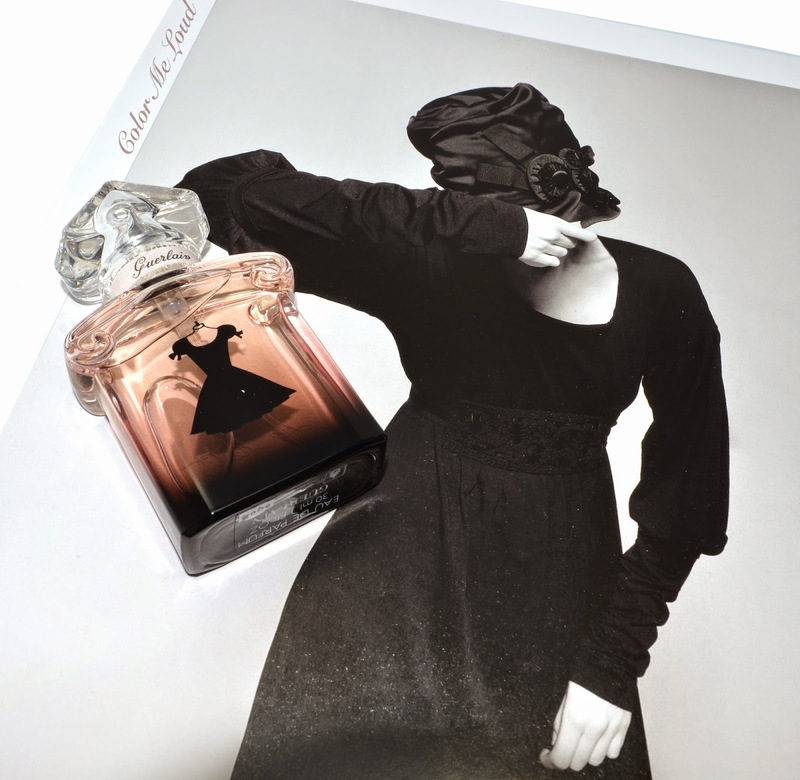 To me La Petite Robe Noire is that sweet perfume which is a no at first spray but my wrist keeps calling my nose to come closer and it becomes some how addictive. The sweet black cherry provides a gourmand base and lingers on me from the first whiff up to an hour or two. Almonds and red berries are barely there blending with black cherry. Soon after the rose leaves fly over the black cherry but a wind blows and they are carried around in a whisper. The best thing about La Petite Robe Noire to my nose is its dry down, very unique and tasty. Right amount of Patchouli mixed with some Tonka bean and not overpowering dose of vanilla. It is very different than my usual woody spicy fragrances which I enjoy but there is definitely something about it which I learned to appreciate. Final thoughts: Eating all the cherries? This black cherry gourmand is unexpectedly inviting at its heart and surprises at dry down, for those who like it a bit sweet. 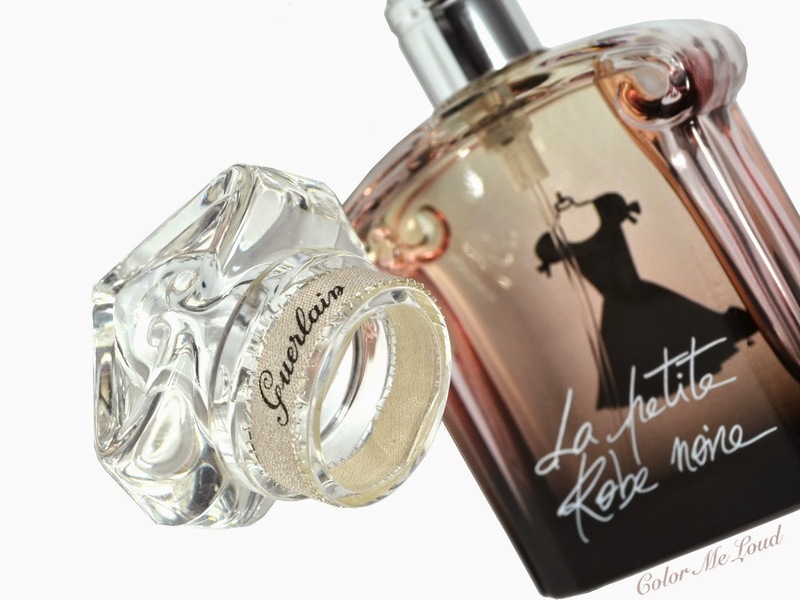 How do you find Guerlain La Petite Robe Noire? Hey Sara, I have tried the EDP and the Eau Couture, and I definitely prefer the EDP by far :) It's a scent I associate with autumn. This is also a fragrance that I learnt to appreciate. In the beginning, I wasn't sure what to think at all! I have to wait and see about the new fresher version. For me, a lot of the original fragrances are much better than their watered-down flankers, but that's me! Hi Sara, i love your description about the rose carried like a whisper! I had the same experience with LPRN too... not me at first whiff, but strangely addictive. It is just a bit too tart for my liking, and i'm still trying to figure out what to layer it with to warm it up a bit for my palette... but as you said, there is already so much happening there, it is hard. I wonder how the new Spring version will fare! Hey Sara! Interesting to read your review and the comment about how you initially feel when you smell le petite robe noire. I gave up my old perfume which I was wearing for six years non stop (V&R flower bomb) for this one, only after I smelt it an hour later I tried it in the shop! I love sweet scents and fruity ones especially. I'm happy with it so far, not for the summer and quite heavy for more than one or two sprays but definitely delightful. Haven't decided if I like it more than my V&R fragrance or how different it smells on me when compared to the Dior Cherrie. I guess time will show! Lovely post! I'm with you on the no-love on first spray, and perhaps I've been too quick to dislike it, the middle and end notes sound like something I'd like a lot. However, I really dont like the packaging... There's probably some very meaningful story behind the robe/dress print on the bottle, but I just think it makes an otherwise pretty bottle look cheap. This was my first Guerlain. It did need some time to grow on me, and I think maybe I had a bit of growing to do as well, but once it did I loved it immensely until they launched the Couture, which has been my favourite since. Now I'm excitedly waiting for Ma Robe Petales to launch.